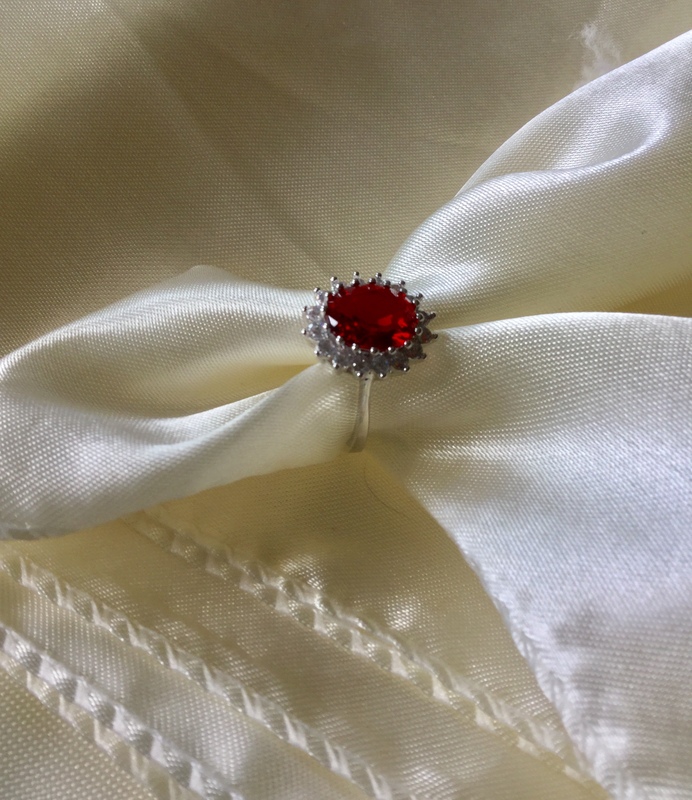 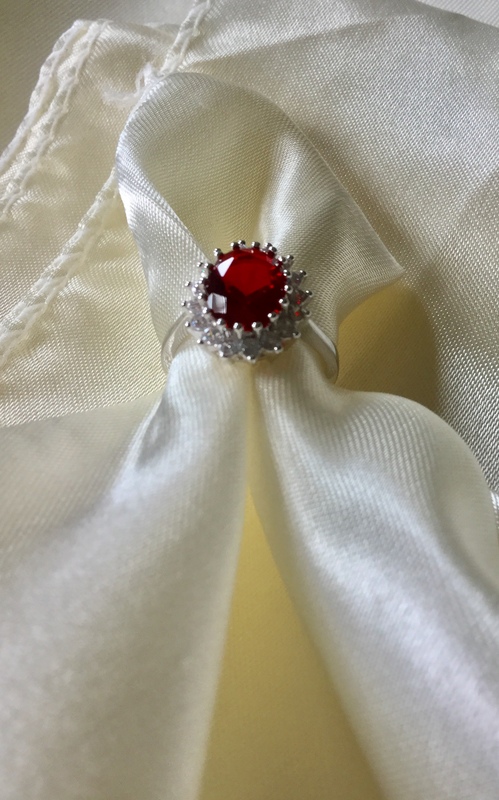 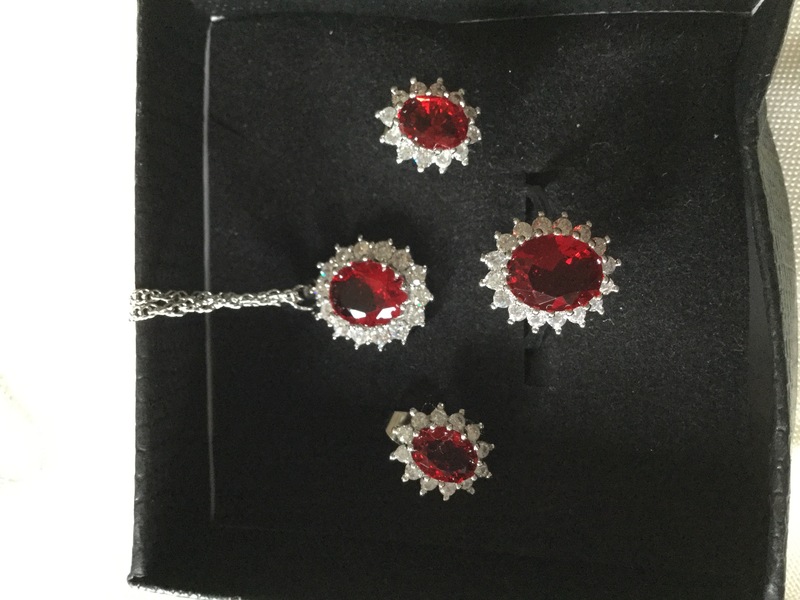 Lovely 3 piece oval red Cubic Zirconia necklace, earrings, and size 7 ring. 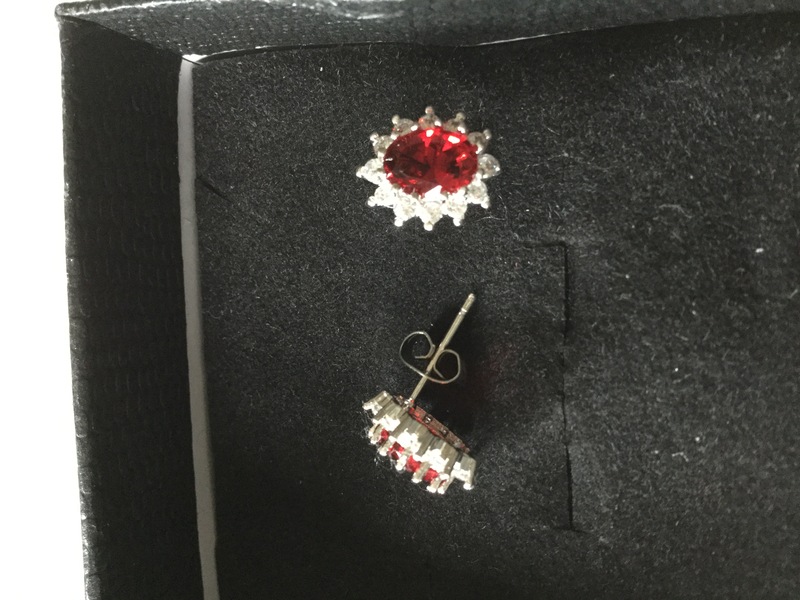 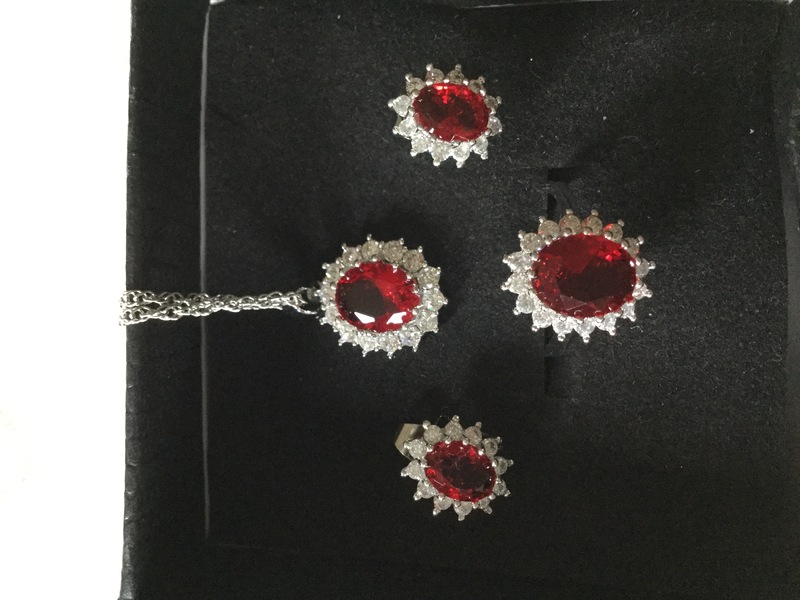 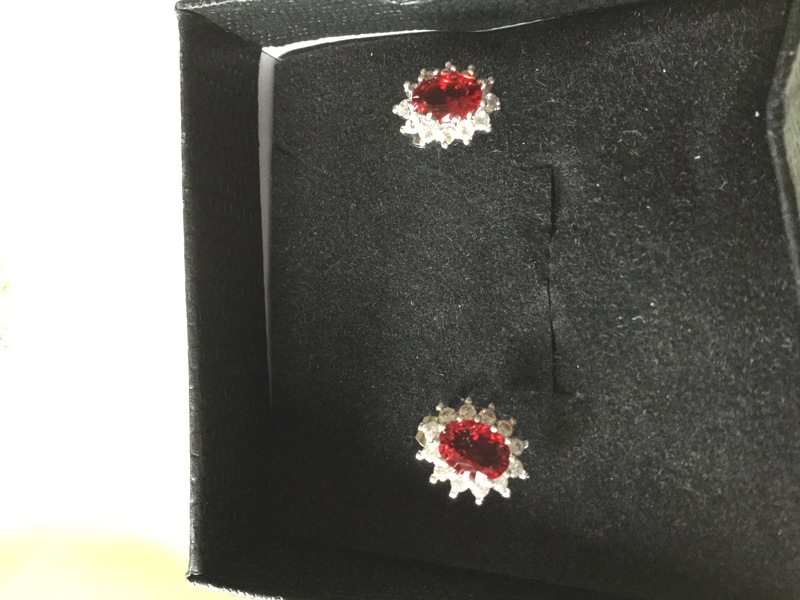 This set has a total of 8cttw of Cubic Zirconia between all 3 pieces. 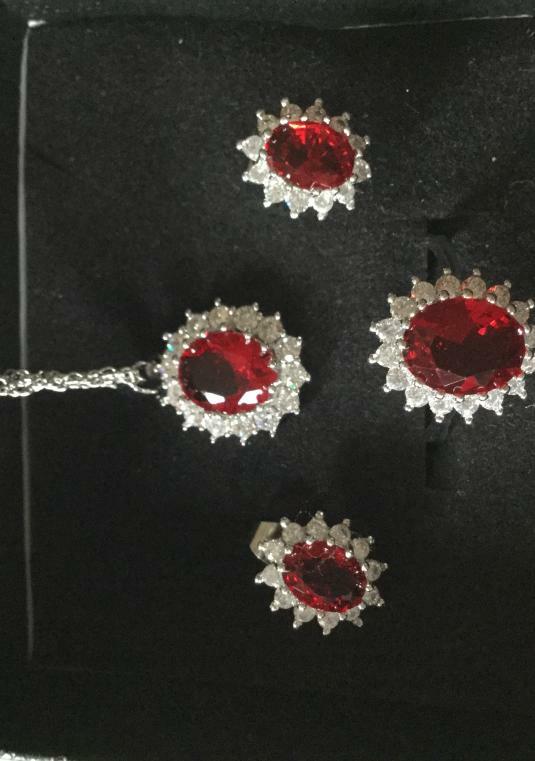 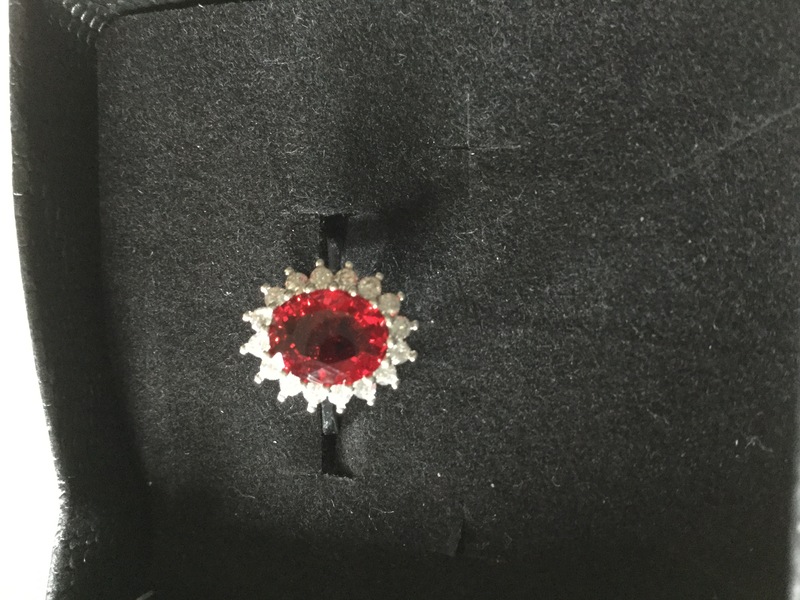 The entire set is 10k white gold filled.